The Silverleaf eldercare center in Austin, Texas, chose to install a Noritz tankless water heater to ensure a continuous, cost-efficient, hot-water supply for its residents. Builder and developer Jason Brenizer’s vision was to create an assisted living option that would provide exceptional care without sacrificing the normalcy of day-to-day life. Today, that vision has become a reality at the Silverleaf Eldercare Assisted Living Center in Austin, TX. 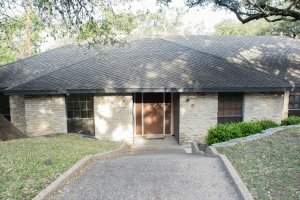 Unlike traditional assisted living centers that are often large commercial buildings located far from major centers of population, Silverleaf is a converted, centrally located residential home within a short drive of metropolitan Austin. “We wanted our residents to literally feel ‘at home’ by being in a location where friends and relatives could conveniently visit on a daily basis,” says Brenizer. The development team located the existing home in a location in need of assisted-living care and began the remodel. Equally important as having effective lighting was ensuring that all 12 occupants have ready access to hot water for hygiene and other needs. The 3,500-square-foot home has two full bathrooms with showers, three half-baths, a large gourmet kitchen and two washers that operate most of the day. “Given the high potential for simultaneous, hot-water demand, we needed to guarantee we were covered,” says Brenizer. Brenizer and his team settled on installing the NRCP1112 unit, which was donated by Noritz. The entire job installation project, which took place in the home’s attic, spanned roughly five hours with no complications. Finally, on-demand hot water is saving the center energy while providing for all bathing, cooking and washing needs. “As a business, the lower cost of operation helps our bottom line; as a home for the elderly, the consistent hot-water supply ensures our residents will never be left in the cold,” says Brenizer. Silverleaf Eldercare Center opened its doors during the summer of 2018 and recently moved in its first resident. “We look forward to welcoming more residents and are confident that products like the water heater from Noritz will make their stay as comfortable and enjoyable as possible,” says Brenizer. He plans to continue using Noritz as he builds to his goal of 10 elderly care centers in metro Austin and other parts of Texas.